Q. How do you address a piece of mail? Use the example below as a guide. 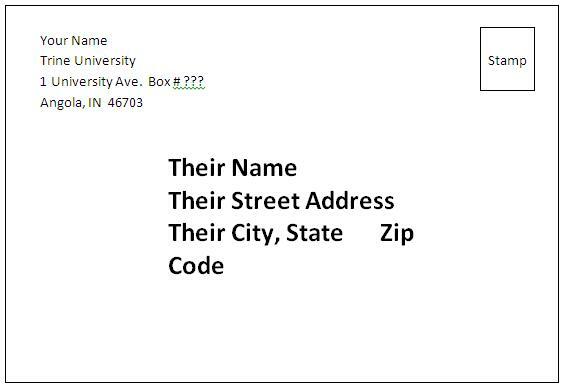 Make sure your name and address are in the top left corner, the stamp is on the top right corner, and the address where you want the letter to be sent is in the lower part of the envelope.